The Elf on a Shelf craze has taken up residence in the Champaign Fire Department. 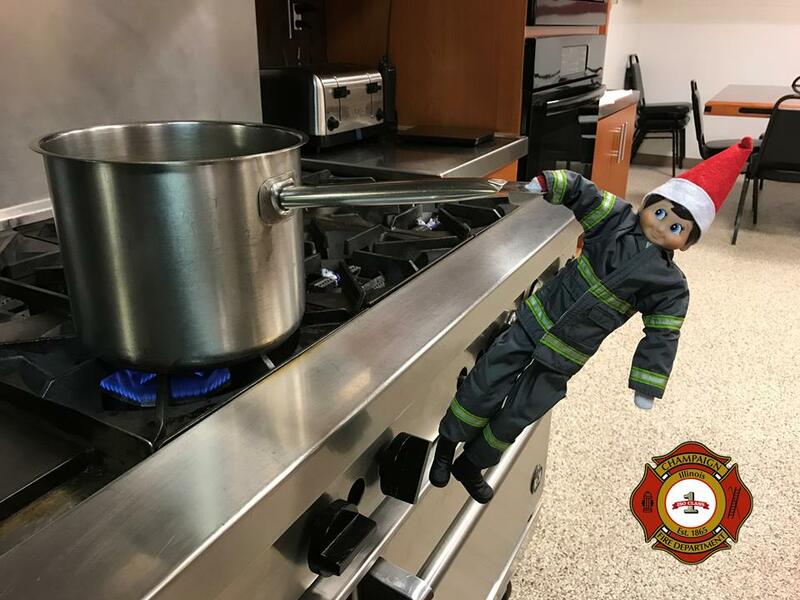 Ember the Elf, the CFD’s newest employee, made his debut last week on the department’s Twitter feed and Facebook page. CFD picked the name after the community submitted many suggestions. Ember the Elf of the Champaign Fire Department is making the rounds this holiday season. Ember’s goal: To help the community learn safety and fire prevention tips during the holiday season. The Twitter and Facebook feeds contain pictures of Ember hanging from doorknobs and other accessories along with important seasonal tips. Check out Ember and the CFD feeds here and here.